Summer in Rome is filled with some of my favorite activities. All of them are outside, near historic monuments and all of them are free. I know that summer is here when I get the email that announces the Miracle Players performance schedule. 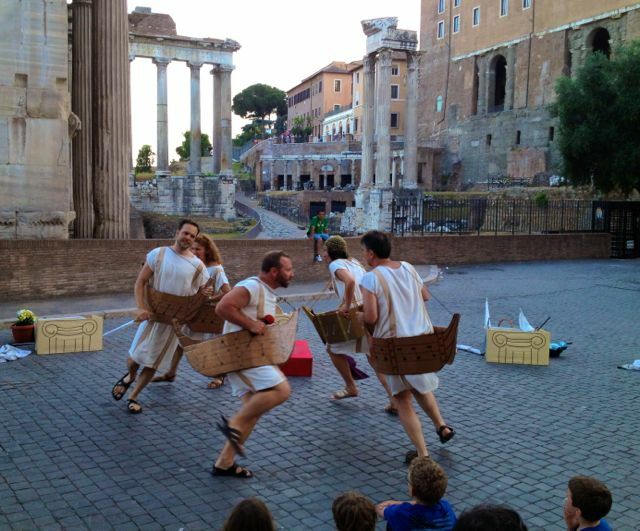 Every Friday evening from late-June until the beginning of August this hilarious troupe perform a family friendly romp through Roman history. The backdrop of the Roman Forum and the setting sun is spectacular on those first warm summer evenings. Bring the kids and sit on the church steps and be prepared to laugh and learn some Roman history. Even after all these years living overseas, I get kind of melancholy if we miss being in the US for the 4th of July. I love the day spent grilling burgers and corn on the cob, and then waiting for a hot muggy sunset for the fireworks show, with a Sousa soundtrack preferably. Here in Rome, you can cobble together an excellent 4th of July celebration that includes the grilling and some patriotic music and even fireworks, just not all on the same day. June 29 is the feast of Rome's patron saints Peter and Paul. It is a holiday in the city and many things will be closed. When the sun sets make sure you are at the Castel Sant'Angelo for some fireworks. The Girandolo was introduced in Rome in 1481 to celebrate Pope Sixtus IV and was then used to celebrate the major holidays of the year. The pyrotechnic show was designed by Michelangelo and re-worked by Bernini. 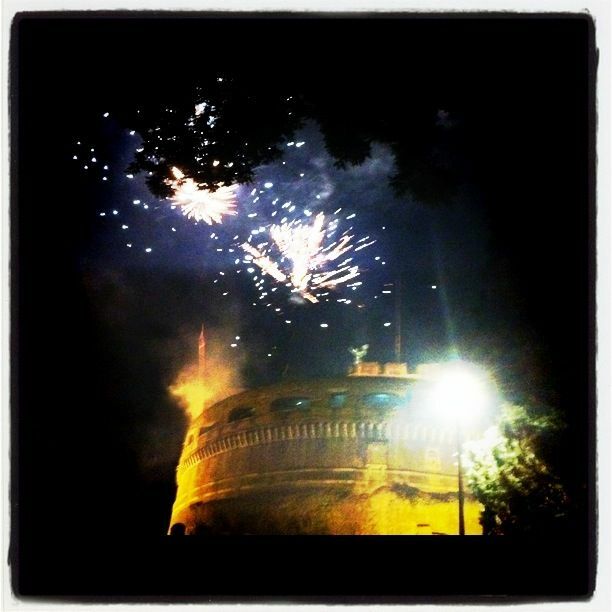 It is an amazing sight to see the fireworks coming from the terraces of the Castel Sant'Angelo and reflected on the Tevere. 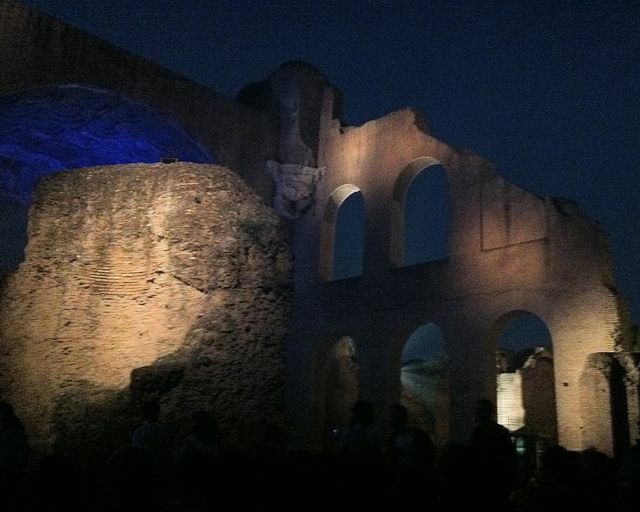 It is almost the end of this annual festival held in magnificent 3rd century, Basilica di Massenzio, but they are saving some of the best for last. Author's Zadie Smith and Roberto Saviano (of Gomorrah fame) are on the agenda for the remaining evenings of the festival. There are limited seats and they are on a first come, first serve basis. The ticket table opens at 7:00 and the readings/performances begin at 9:00. It is best to get a ticket early and have an aperitvo while you wait. Hi Gillian. I love your blog, would you be interested in writing about Rome restaurants for www.mytable.com? Please drop me a line at seth at mytable.com if so. Thanks!